The HPE 10G SFP+ Direct Attach Cable offers a cost-effective alternative to fiber optics in 10 Gb connections. Specially designed for HP 10Gb; Enterprise Virtual Array P6350; Modular Smart Array 1040, 2040, 2040 10Gb, P2000 G3; ProLiant DL360p Gen8. 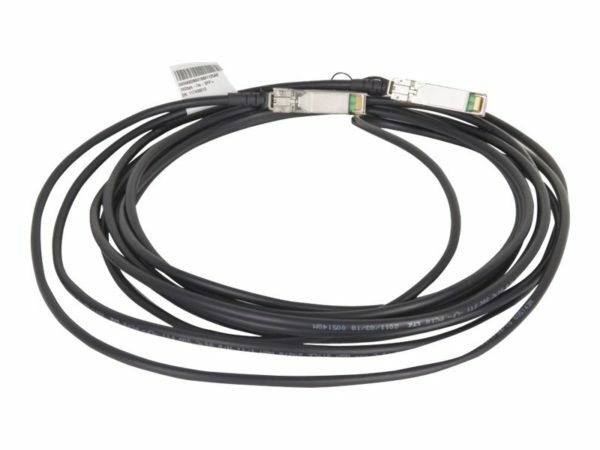 Qty 1, The 10G SFP+ Direct Attach Cable by Hewlett Packard Enterprise.